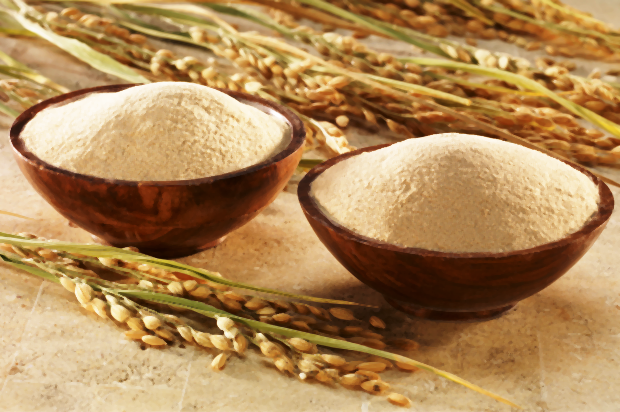 Stabilized Rice Bran is a natural Egyptian rice bran that is totally gluten and lactose free. Stabilized Rice Bran (SRB) has a unique blend of nutrients; for having a one ounce serving per day (28 gm) supplies you with a spectrum of nutrients in only 88 calories. This food is very low in Cholesterol and Sodium. It is also a good source of Potassium, Zinc and Copper, and a very good source of Dietary Fiber, Thiamin, Niacin, Vitamin B6, Pantothenic Acid, Iron, Magnesium, Phosphorus and Manganese. Oryza supplies you with different vitamins; E, Riboflavin, Folate, pantothenic acid, vitamin B6 and Niacin. Neurodegenerative diseases are one of the major challenges of the 21st century. The United Nations estimated the number of people suffering from age-related neurodegeneration will exponentially increase from 25.5 million in 2000 to an estimate of 114 million by 2050. In 2030, the developing regions’ share of the worldwide aging population will increase from 59 to 71%. Hence, the global trend in the phenomenon of population aging has dramatic consequences for public health, healthcare financing and delivery systems in the world. Like in other differentiated tissues, cells in the central nervous system are affected by aging and react to aging by a decline of several physiological abilities including sensory, motor, and cognitive functions. Aging cells are affected by increasing amounts of oxidative stress, perturbed energy homeostasis, accumulation of damaged proteins and lesions in their nucleic acids on the molecular level. These changes are significantly amplified in neurodegenerative disorders. Oryza extract was examined by a group of scientists in Egypt and Germany in the context of protecting brain nerve cells. The results were published and indicates Oryza extract showed improvement of mitochondrial function both in vitro & in vivo. Oryza extract has potential benefits in neurodegenerative conditions such as brain aging and Alzheimer’s Disease. SRB can be considered your healthy tool for weight management due to its unique blend of nutrients. By having a one ounce serving per day (28 gm) your daily intake is supplied with a spectrum of nutrients in only 88 calories. Protein quality depends on having all the essential amino acids in the proper proportions. If one or more amino acid is not present in sufficient amounts, the protein in your diet is considered incomplete. An Amino Acid Score of 100 or higher indicates a complete or high-quality protein. If the Amino Acid Score is less than 100, a link is provided to complementary sources of protein. By combining complementary proteins, you may be able to increase the overall quality of the protein you consume. The recommended daily serving of 30 gm from SRB has a score of 95. The glycemic load (GL) of a food is a number that estimates how much the food will raise a person’s blood glucose level after eating it. One unit of glycemic load approximates the effect of consuming one gram of glucose. The recommended daily dose from Oryza (30 gm) estimated glycemic load is ONLY 2. Because Glycemic Load is related to the food’s effect on blood sugar, low Glycemic Load diets are often recommended for diabetes control and weight loss. Foods with an eGL of 10 or less per serving are generally considered to have a low glycemic load.